As promised I'm having a little giveaway to celebrate reaching over 1,000 followers on Bloglovin! I would like to thank everyone who visits me here, reads about the projects I sew, follows my progress and quilting journey and takes time to comment. It means a lot to me. I adore this community, it provides me with so much inspiration and encouragement and also motivates me to challenge myself and keep on learning. 6 fat eighths of brilliant low volume prints - Triangularity Stardust, Chromatics by AGF studio; Sprinkled Morning, Meadow by Leah Duncan; Smile and Wave, Koi by Rashida Coleman Hale; Teensy Weensy Lotus, Littlest by AGF Studio; White Tint Dandelions by Santee; Linen Closet Bees by Makower, a fat quarter of Crystal Arrowheads, Arizona by April Rhodes and some fun glittery Hema stickers! 1. Leave a comment telling me about the best party you have been to. 3. Share this giveaway on twitter, facebook or your blog and leave another comment telling me how you shared (optional entry) - NB Instagram does not count since I am having another giveaway over there! Please, please, please read those options carefully and if you are a 'no reply' blogger I am afraid I don't have time to hunt you down to tell you if you win so please leave an email address with your comment e.g. spongebob (at) yahoo (dot) com. The giveaway is open worldwide, it ends 1st March 2015 and the winner will be chosen by random.org and announced here. My ear is ok! Ha ha. The best party I have been to is my 2 year old's last week. After opening gifts, she cried because she wanted more. ha ha ha! Lovely bundles of fabrics, would love to have these. Congratulations on having so many followers. I am one! Hi!!!! My ear is ok!!!!! Yep!!!!! Hope it stays that way!!!!! They are beautiful! The best party I've been to was my son's birthday party. We played take out the death star (with balloons) and then went swimming at our rec center. Not a lot of fuss for me and we enjoyed everyone who came. Doesn't get better than that! My right ear is all right and my left ear is all left. And the best party I've ever been too was years ago and it was a huge family reunion with about 100 people in attendance. A day filled with great food and even greater love. The best party was my nieces's wedding! Way over the top and great dancing! The Best Party I have been too is hard to pick but I really enjoyed our Ruby Wedding Anniversary Party - 40 years wed - we had moved into a new area a few months before and we invited all of our new neighbours so that we could meet them all. Great. My number one was a party at the local Humane Society all the guests brought gifts for the animals instead of the birthday kid and spent hours snuggling and playing with the animals... we had so much fun and the animals did too. I have shared this gorgeous giveaway on Twitter, Pinterest and Facebook. Best party I've ever been to was a halloween party that my company had for employees and their families. Everyone came in costume and there were prizes for different costume categories. It was so much fun seeing all the costumes and trying to guess who was who. It was also fun taking part in playing different Halloween games they had and eating all the scary Halloween food. Children as well as adults had a wonderful time. I loved the LGBT sponsored dance in college. It was one of the highlights of the year. I follow by email, so I guess you will have the 1000 on Bloflovin, the 725 on here and then email followers too! that's some following! The best party I ever had was when my crew gave me a 21st birthday party, whilst we were 24 hrs in Hong Kong before flying through to Kathmandu. I flew on VC10s, was an RAF Sgt Air Load Master and was well past 21 ! We had a wonderful Chinese meal in a restaurant where only locals ate, and I got a bottle of gin, a huge cuddly teddy and a Mickey Mouse watch, which kept as good time as my Seiko! Congrats on getting to1000! When I was a kid my Dad's company threw some pretty awesome summer parties. My favorites were the times they rented an entire water park just for the employees and their families (it was a big company). That's like heaven to a 10 year old! Best party was also a halloween party when I was in elementary school. My school did an awesome job of turning the whole school into a decked out, games filled, candy galore fun fest. The best party I have ever been to is the Gasparilla Parade down here in Tampa, FL. Tell your son to goole it. We have had it every year since I was a little girl and it is always so fun! Congrats! The last best party I was at was a family reunion. Lots of family we hadn't seen in years. My ears are fine but my 4 mo grandson has double ear infection so he isn't a very happy baby. my ear is fine thanks for asking. Best party was my wedding. It was really fun and everyone had a great time. Good music, I didn't have to worry about whether I looked good (I knew it haha) and just really relaxed. almost 12pm. best party a Halloween one, I dressed up as a Southern girl, it was fun! HELLO, one of my favorite Party's was my very first Baby Shower for our oldest Daughter! The Hostess had gone to so much work to involve each person there in games,gifts and sharing >it was a Blast! Thank You for sharing a really neat Giveaway! HAPPY STITCHING TO YOU ! I follow you via Feedspot reader. well yes I did buy him chocolate, but I ate it! and yes I am a follower. This is a very generous giveaway! Congratulations on 1000 happy followers!! Can I be cheeky and say the best parties are the ones I don't remember. No? okay.. My 30th was held at a small greek restaurant with a live band and we all danced all night and had a great time. My ear is fine but thank your son for asking. Thanks for a great giveaway, I love all those fabric. I am sorry I have not given your son chocolate for his birthday, but if I knew when it was, and if it was ok with you, I would try to remember to do that next year. My ears are fine for now. My best party was was probably my Mom's 85th birthday party because my whole family was there. One of the best parties I've attended was celebrating my parents' 50th wedding anniversary. I follow you by email. Oh, and thanks for the chance to win! The "most recent" best party I've been to was a wedding I went to last summer. Danced all night! my ears are all right thanks for asking wee man! although my wee moo.... she keeps putting her dinner in them. should i worry??? Congratulations on being over 1,000 followers! It Is way past 12 o'clock here. Thanks! My right ear is well. Thanks for the giveaway. The best party I have ever been to was my grandson's 5th - we had an inflatable water slide and a million kids running every direction. It was his and his best friend's joint party. An absolute blast. I follow you by email - always enjoy seeing you in my inbox! I follow you by email. Thanks for the chance to win the giveaway. Best party...my husband's 50th...it was Titanic themed... We had everything from a boiler stoker to an ambassador to Edwardian gowns and top hats and tails...even someone carrying an iceberg lettuce!! My hubbie's great uncle designed the Titanic...so it was very apt. We had a glorious day on a boat sailing down the canal...unforgettable...as it was all arranged in total secrecy! Congratulations! Even on the west coast of the US it is past 12 o'clock now. The best party I ever attended was my uncle's wedding. He was 54, truly in love, and the party was a blast. A gifted musician, his wedding invitation included the same line that all his party invitations do: "Musicians, bring your instruments!". There was dancing late into the night. The fact that it was held at the home he was raised in, which will always be "Grandma's house" to me, made it extra special. Great question from Fred! Actually my ear is having a little trouble, It is 5:46 PM here in Missouri, USA, My favorite party was my daughter's wedding reception, and I wish I could give your son Chocolate, if he would share! the best party was my last, my husband's 60 (?) last weekend. We had a life size cardboard Jose Mourinho - hours of fun and selfie taking - yes, I know, all a bit sad! I've been following you via bloglovin. Thanks for the opportunity to win! Best party: the big tent in the backyard that housed our 30th wedding anniversary party! It was so fun. The best party I've been to, hands down, is the surprise party my daughter threw for me when I turned 60. She had it planned for a long time and no one spilled the beans to me for all that time! Total surprise. Loved it. My best party was a farewell party my friends had for me when I was going to Europe for an extended period of time. It was a surprise, it was fun, and all my friends and family were there. (It was a long, long time ago when I was 20). Your son came up with some very interesting questions. I did have some chocolate - sorry, but I ate it all myself. The best party I've ever been to was the reception for one of my childhood friends wedding. I can't really explain it, it was just an awesome night with good friends! 1000 followers is so awesome Lucy. Congratulations! The best party I went to was our last family reunion We were all together for the last time because my sister passed away last week. The best party was my mother in laws 85th last year - a lot of joy and memories and she had a blast! thanks! The best party I've been to was probably my grandad's 80th birthday party, lots of family and food (including a navy blue cake that stained everyone's tongues a funny colour!). My ear is fine, it's quarter to one in the morning at the moment, and no I didn't get you chocolate for your birthday, sorry! The best party I've been to happened to be my 30th bday that was a house party thrown by me and my 5 other housemates. It was a theme "Glam Rock" and costumes were REQUIRED! Two housemates were musicians and invited their friends to play a full scale music concert in our basement with songs by Bowie, TRex, and the like. We stayed up until the sun came up and had an absolute silly crazy let loose kind of night! There was glitter everywhere for months. It's a party everyday at my house! One of my most memorable parties is the Halloween party I hosted in the 8th grade at my house in the country. Hayrides, apple bobbing, costume contest, flashlight tag, and toilet papering the neighbours house! Oh my, what a memory! Thanks for the chance to win and congrats on 1000! The best party I've been to is my twin granddaughters' first birthday party. Halloween high school (year not to be mentioned) when we dressed up as smurfs by painting our faces blue. Not costume paint but true blue acrylic paint. It was awesome! Thanks for the giveaway And congrats on the success! My best party was a surprise party my husband did many years ago at a local pizza restaurant-all of our softball friends were there before us and I was really happy and very surprised. I follow you on Bloglovin'n. Best party was thrown by my brother in high school. It was held on a huge indoor Hollywood sound stage. My ears, well one is all left and one is all right! My best party - would have to be my son's 5 year old birthday party - star wars theme! I have to say we did a brilliant job!! Thanks for a great giveaway! I love throwing fun birthday parties for my kiddos, my daughters princess party is one of my favorites so far! I'm not sure which question to answer.. Your son would probably most like to know about the best birthday I had when I turned 10. We had a huge stainless steel salad bowl that we lined with a cushion from the couch and we each took turns sitting in it while my older brother spun us around!! It was a blast!!! 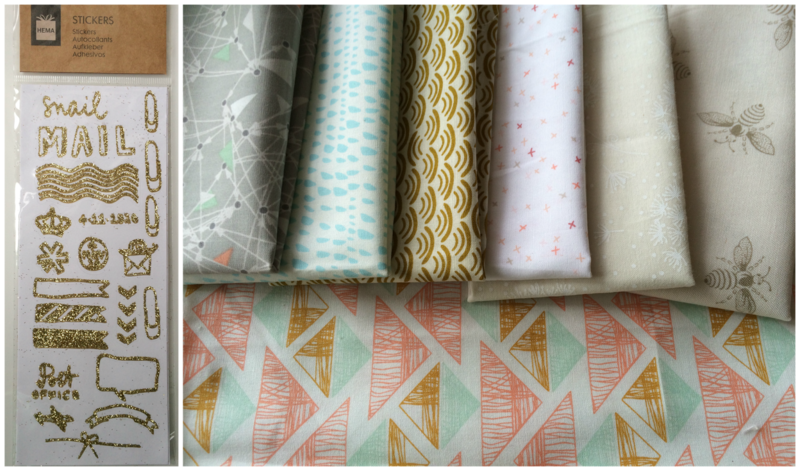 Congrats and thanks for celebrating with a fabric giveaway!!! I follow you via Bloglovin'!! There were some pretty good parties during college but that may have something to do with the refreshments. My ear is great, it's not 12:00 yet, and I think your mom was buying you some chocolate from me. Lol! My favorite party was last year. My little cousin had the ninja turtles show up! They were so awesome! Leonardo was my favorite. I also follow on blog lovin"! Best party I've been to in long time was a friend's wedding last summer, so much dancing and love! I Haven't been to a party is so long...I forget when the best one was! But many years ago, my mom would have a pool party for the whole family, about 30 of us, and she'd have one every Memorial Day, 4th of July and Labor day. Now those were parties! Lol...my ear is fine,,,and it will be 12O'clock (midnight) here in about 33 more minutes! :) the best Party I have ever been too, was a Harvest Party...where I met the guy that would become my Sweet Husband 6 years later! I like your son's question! The best party I ever went to was my mother-in-law's 80th birthday - music, dancing, pictures, family, food! Thanks for the great giveaway. Low volume fabrics are so useful! And thanks for your great blog! I follow your inspiring blog on Bloglovin. Congratulations on your followers, and thanks again! Best party was a Halloween bash at university. We ALL dressed up and I was a monarch butterfly. The best party I've been to was my son's 4th birthday party. It was a pirate theme and I convinced my husband to dress up. What a trooper - gold hoop earring taped on his ear and all. Hi Lucy, Congratulations on your 1000+ followers. You have worked so hard for your success and I know it will continue. I have shared your post on my FB page with the 'public' setting too. I have followed for ages now on Bloglovin because I love your projects. The best party I have been to was one I organized here at home. It was my granddaughter's christening party with 4 generations of family plus friends. I had organized for our top field to be mown and we had laid out a full size rounders pitch. All the family from youngest to oldest (my Mum) joined in until my son in law hit the ball high and it was lost in the hedge. Good fun, good weather and a great day. I guess the best party I have been to was my grandson's Birthday party. I follow you on BL and FB. The best party I went is a friend's wedding, it was fun all the day and I danced do much! I'm not really a party person, but this year's Christmas do had great food, great conversation and free drink (I wonder if this influenced my impression of the first two). My sisters wedding :) Such a beautiful party! I am one of those existing 1000 bloglovin followers! Your son's questions crack me up! Tailgate parties before college football games are my favorite -- the lovely fall weather, the food, the friends, the excitement of a football Saturday -- all good! It;s always a party when my family gathers at Grandma's house. The best party was my parents' 50th wedding anniversary, which was the last time my complete immediate family were together! Congratulations! My favorite party was my daughter's first birthday party! Covered in cake from head to toe! I love that you let your son pick the question(s)! My favorite party was undoubtedly a birthday party for my college roommate- there was a piñata, tiered cake, and costumes! Hmm... tell your son, my ear is fine, it is not 12:00, only 9:20 and I think I ate his chocolate......lol My favorite party was the one I gave my daughter for her 16th birthday and her friends including me danced the night away. My house was always the kids go to house in the neighborhood. She is now a 38 year old Registered Nurse with a Bachelor's degree. I follow you by email. Love your blog thanks for the chance to win the fabrics look wonderful! My best birthday party was my 26th ... Because I got it on with a man who ended up being my husband!!! Do your ears hang low, do they wobble to and fro, can you tie them in a knot, can you tie them in a bow? Can you swing them over your shoulder like a Continental Soldier? Do your EARS HANG LOW????? Don't know if you know that little rhyme but it was the first thing I thought of when thinking how are my ears. ljbisme at msn dot com. Probably my friend's East Indian wedding. Wow do they know how to party's! Best party was my hubby's 30th birthday. We rented one of those inflatable slip n slides, and boy, were we sore the next day! Thanks for the chance to win. 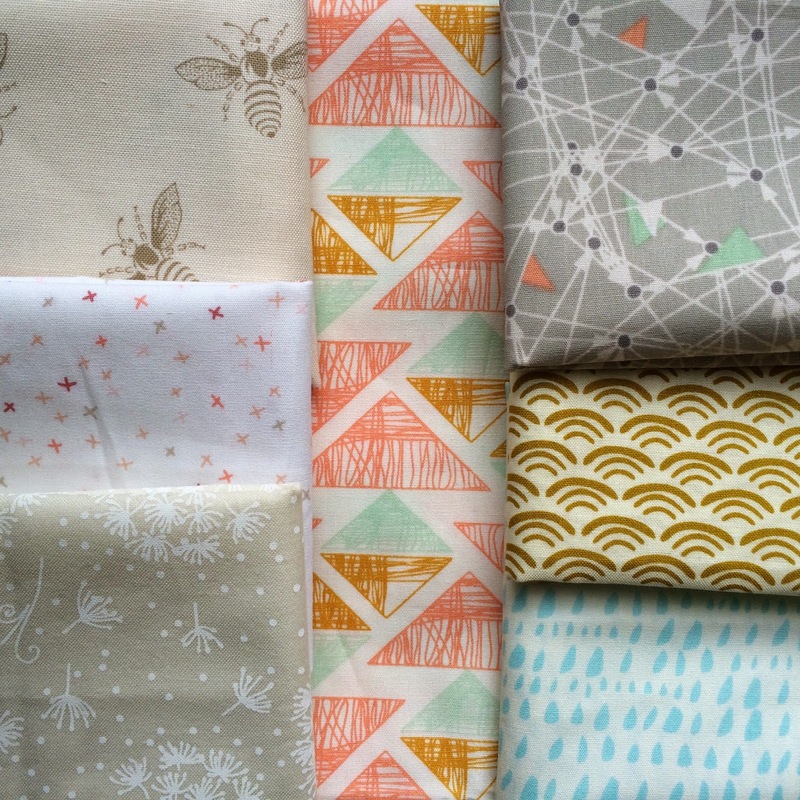 Oh, and I discovered you through QuiltingBlogs.com, but have added you on my bloglovin, too! Actually, my ears are a little itchy, I've had a cold and was a bit deaf, so now they itch! I dont really like planned or surprise parties, the best ones are the impromptu ones. I did quite like my Mums wake tho' - we all went for 'posh' afternoon tea at a place she loved! The best party I've ever been to was my mother's 65/retirement party. My brother the chef made the food and e decorated a friend's house and yard with pots of pansies and spring flowers. My brothers and I gave her a bright blue canoe - she was totally surprised and we've got great photos of the day. For me, my best party is actually two parties....the wedding receptions of my two children. Obviously, not children anymore but both wonderful grownups. It was great fun to watch them take their next big steps in life. I follow you via email. What a wonderful bundle you have chosen.